Switzerland announces ban on ISIS and related organizations, prohibiting all activities of the group in the country. EU states helping to fund ISIS? Switzerland has joined a growing list of countries that have banned the Islamic State (ISIS) group and related organizations, The Wall Street Journal reported on Wednesday. The move that comes as the Alpine nation steps up measures to prevent Swiss citizens from traveling to the Middle East to fight for the extremist group. The Federal Council, Switzerland’s seven-member cabinet, said a ban on membership of ISIS will go into effect on Thursday. The ban will last for an initial six months. The ban prohibits all activities of the group in Switzerland, including propaganda, fundraising and recruitment. Offenses can be punished with sentences of up to three years in prison or a fine, unless more severe penalties are needed, according to The Wall Street Journal. The cabinet’s move comes as Switzerland seeks to prevent its citizens from fighting for the jihadist group, which has overrun large chunks of northern Iraq and Syria. In addition to executing local people, the group has claimed responsibility for the beheadings of U.S. and UK hostages in Syria, as well as a French citizen in Algeria. A host of other countries have had to deal with the phenomenon of its citizens leaving their countries and going to Iraq and Syria to fight alongside jihadists. Russia, Canada, France and Australia are only a few examples. According to Switzerland’s Federal Intelligence Service, roughly 25 Swiss citizens have gone to Syria and Iraq so far this year, with 10 confirmed to be fighting for groups, including Islamic State. 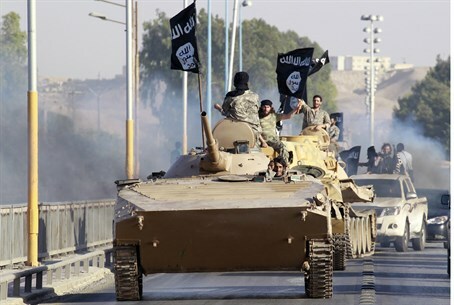 Recruiting from within the Muslim populations of western countries has been among Islamic State’s tactics, fueling concern that returnees could plot attacks in the West, noted The Wall Street Journal. Other Swiss nationals have traveled over the past decade to fight in Afghanistan, Yemen, Somalia and Pakistan, the agency said. Swiss citizens who travel to Syria or Iraq to fight for Islamic State could be prosecuted under the new measures when they return to Switzerland, a spokeswoman for the defense department said. The move was announced hours after London police arrested four suspected Islamic terrorists in several raids throughout the British capital. It was later revealed the four planned a brutal beheading - or beheadings - on the streets of London. The plan mirrors plots by a large Australian ISIS cell that was busted in mid-September, which had planned to behead a random member of the public. Just days later in Norway, another ISIS cell was foiled ahead of executing its plans to behead an entire family and film it as a "warning" to Western states intervening against ISIS in Iraq and Syria.